Adopted a school, that is. 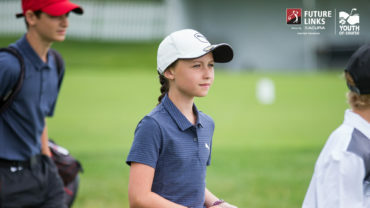 As a prospective adopter of a school, you may think you need to be a corporate giant like Golf Town, which has adopted almost 100 schools, or the formidable twosome of Golf Lab founder Liam Mucklow, a well-known champion of junior golf, who along with auto sales magnate Edward Wong has done the same for almost 20. Or maybe, as a facility or a PGA of Canada professional, you are overawed by Manitoba’s Golf Mentor Academy, the 2017 Future Links, driven by Acura, Facility of the Year. 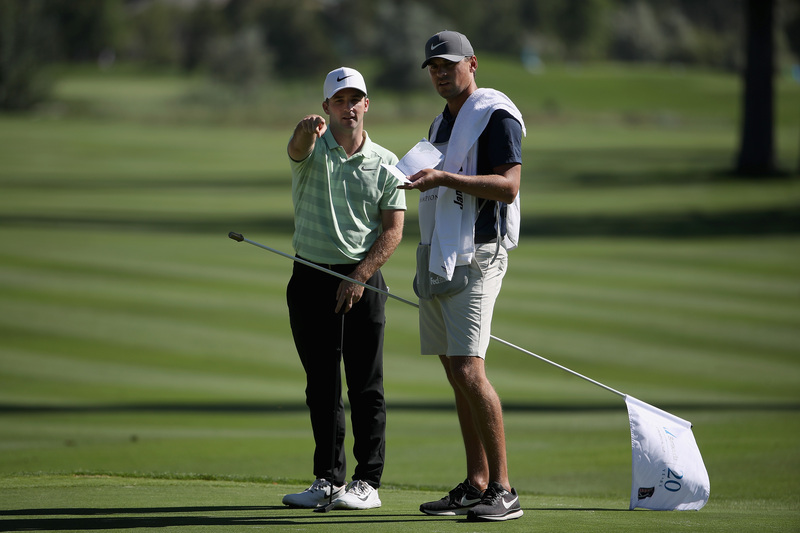 Thanks to the dedication of PGA of Canada professionals Glen Sirkis and Adam Boge, they welcomed more than 2,000 juniors to their facility last year. Well-deserved kudos to all of them and the other companies and facilities who have supported the Adopt a School program, part of Golf Canada’s comprehensive Golf in Schools initiative over the past decade. But you, as an individual golfer, a pro, a golf course or a range, can play just as a vital role in reaching out to youngsters in your area to share the joy and lifelong benefits of golf. Your reasons without a doubt will be as individual as your golf swing. Maybe you’re like Jim Clark who grew up in the small town of Midland, Ont., with a bunch of sports-mad kids, including Bill Hack Jr. They played every sport available to them, but golf was special for many reasons, not the least of which was that Bill’s dad ran the Midland Golf and Country Club. Bill Jr. passed away from cancer earlier this year. It tore the fabric of the longtime group of friends. Clark wanted to do something to commemorate their pal. Adopt a School was the answer. “Chipping in” provided the funds to adopt the elementary school they all attended. With the support of a local course, there are a bunch of kids who will be introduced to the game this year. Mr. Hack would be proud. Wong, Senior Managing Partner of Alta Nissan in York Region north of Toronto, took up golf as an adult when he realized how essential it was to his business interests. Taking lessons from Mucklow, he became entranced not only with the game, but with the opportunity offered by Golf Canada to share the game with kids, an opportunity he didn’t have as a youngster. And a fine example for others. To put a spin on a famous saying: Don’t ask what the game can do for you. Ask what you can do for the game. Since the program’s inception in 2009, adoptions have accounted for almost half of the more than 3,500 registered schools delivering the Golf in Schools curriculum to almost 420,000 students. Last year, 266 new schools were adopted, introducing golf to an average of 120 students per school. Much responsibility rests with the country’s golf facilities and golfers to make this program succeed. Why? Because, ideally, each school is linked with a green-grass facility like a course or a range and none of this is feasible without financial support from golfers like you. (Financial assistance is available from Golf Canada to facilities which want to support this through the Get Linked program. Facilities that have linked to schools have reported significant increases from the business side, such as memberships, lessons and food and beverage, as well as the long-term gratification of enhancing the ongoing vitality of the game. 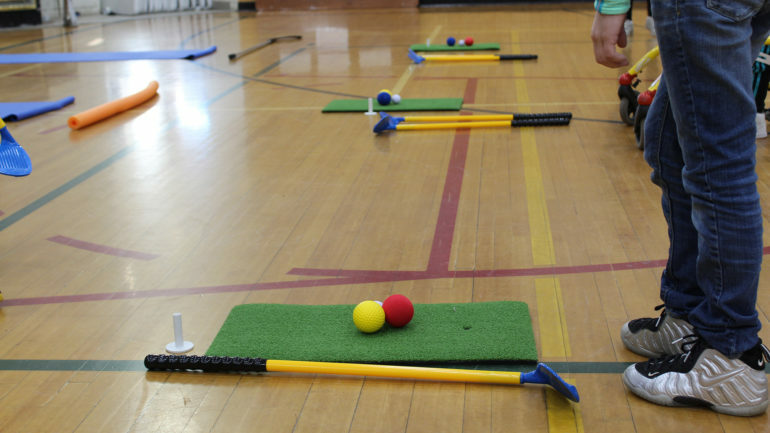 Participating teachers at “adopted” schools laud the program for its emphasis not just on golf but on developing affiliated values such as perseverance, etiquette, character and honesty. As an added bonus, the Canadian Seniors Golf Association (CSGA) has generously continued their matching program during Adopt a School Week. 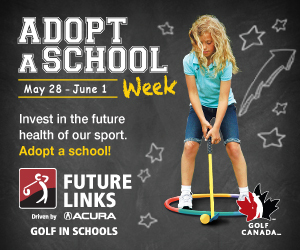 For the first 30 adoptions, any golf facility, PGA of Canada professional or individual who “adopts” a school into the Golf in Schools program from May 28 to June 1 will see their adoption matched with a school of their choice. 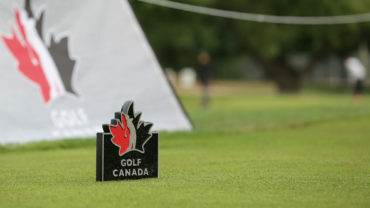 This matching grant is possible due to Golf Canada’s partnership with the CSGA. Donations can also be made in-store at local Golf Town locations across Canada during Adopt a School Week. So whether your support helps develop the next PGA TOUR or LPGA Tour star or just gets kids in your community interested in the game you love or commemorates a friend, you can take justifiable pride in the fact that you’ve given back to the game. The result “will give you goose bumps,” says Wong. Learn more about Adopt a School Week by clicking here.